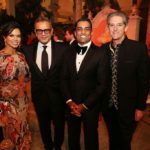 MIAMI – November 21, 2018 – Vizcaya Museum and Gardens’ 62nd Annual Vizcaya Ball, “East Meets West: The Silk Road to Vizcaya,” was a resounding success, bringing the estate’s Eastern influences to the forefront of this grand event. 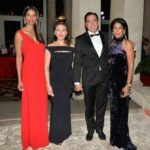 Presented by Chopard, the Vizcaya Ball was held Saturday, November 17, 2018 at Vizcaya Museum and Gardens. 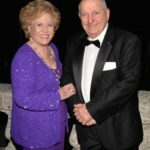 The elegant annual event raised funds to support the preservation of Vizcaya, a National Historic Landmark. 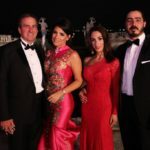 As one of the most celebrated formal affairs in Miami, the Vizcaya Ball began with a majestic entrance through a traditional Chinese gate, with guests being greeted on a golden carpet by ladies from the Confucius Institute of Miami Dade College in elegant Chinese gowns and dancers coordinated by the South Florida Chinese Business Association and the Chinese Cultural Education Foundation entertained everyone before entering the Main House for an impressive Asian- and Eastern-inspired cocktail reception. 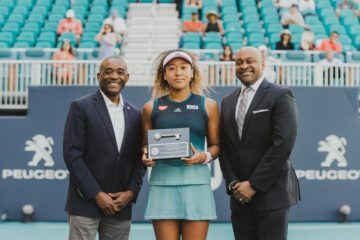 Inside, Presenting Sponsor Chopard’s boutique shined with elegant watches and jewelry while models featured Fashion Sponsor NAEEM KAHN’s designs. 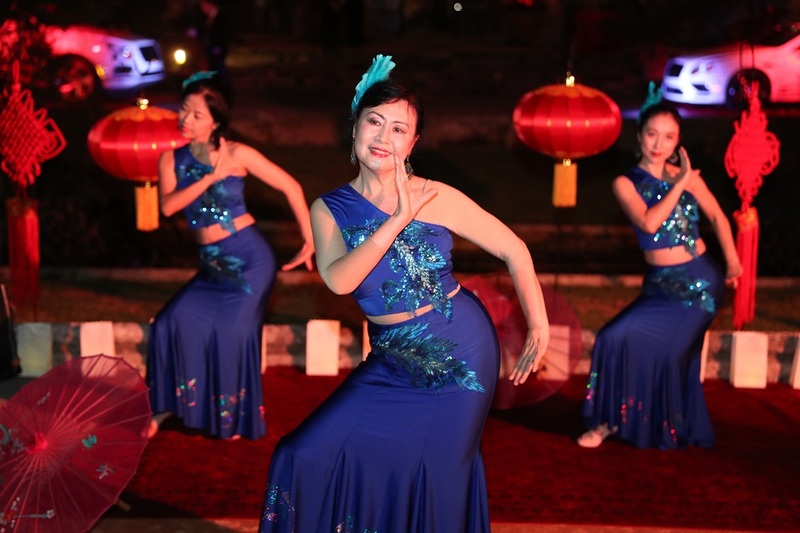 Before the scrumptious bayfront dinner by Thierry Isambert Culinary and Event Design, guests were enthralled with a Lion Dance in Vizcaya’s formal gardens. 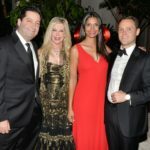 NBC 6’s Roxanne Vargas together with Vizcaya’s Executive Director/CEO Joel Hoffman welcomed and thanked guests for their support. 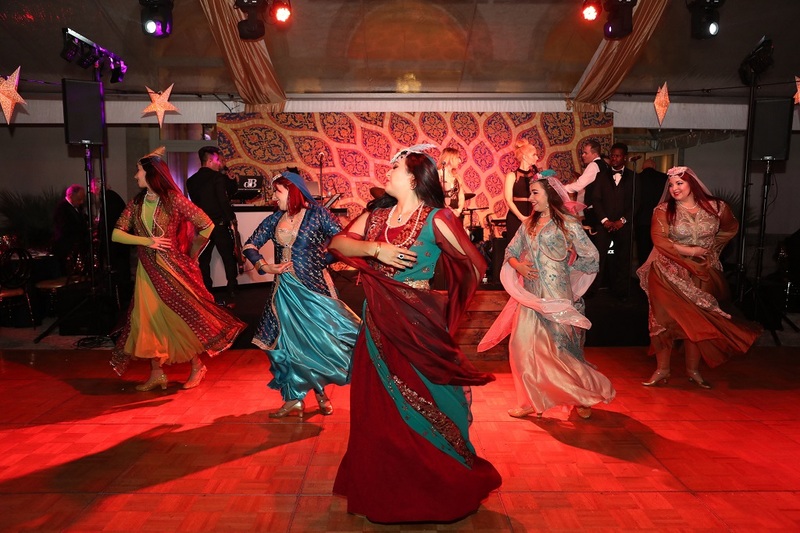 Dinner entertainment included Persian dancers from M.E.C.A. Dance Ensemble followed by the sounds of the Danny Beck Band. The evening concluded with a spectacular fireworks display high over the historic stone Barge. Pearl Baker Katz and Silvia Trinidad served as co-chairs of this year’s event. 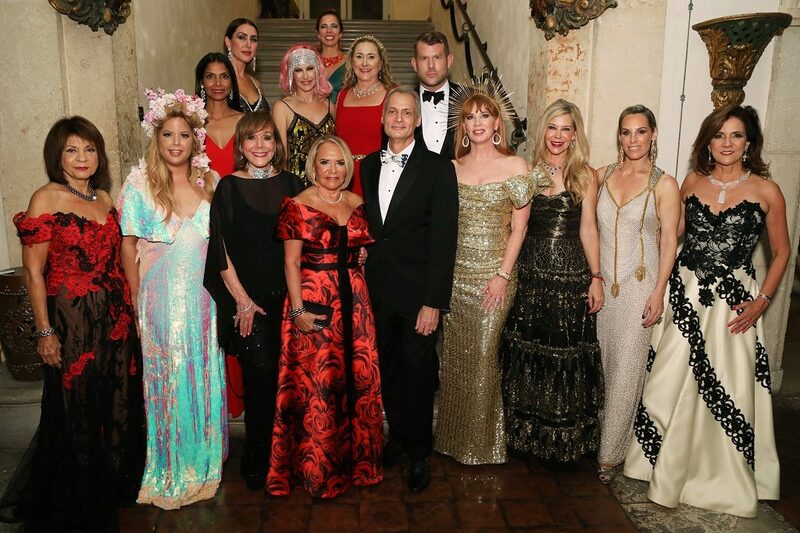 Vizcaya Ball Committee members were Jenni Coba, Victor Diaz, Swanee DiMare, Roxana Garciga, Sonia Gibson, Linda Levy Goldberg, Gladys Rustan Hernando, Cathy L. Jones, Marile Lopez, Nicole Lozano, Christine Martin, Ariel Penzer Milgroom, Bronwyn Miller, Jennifer Montoya, James W. Murphy, Susan Rutrough, Timothy Walker and Alexa Wolman. 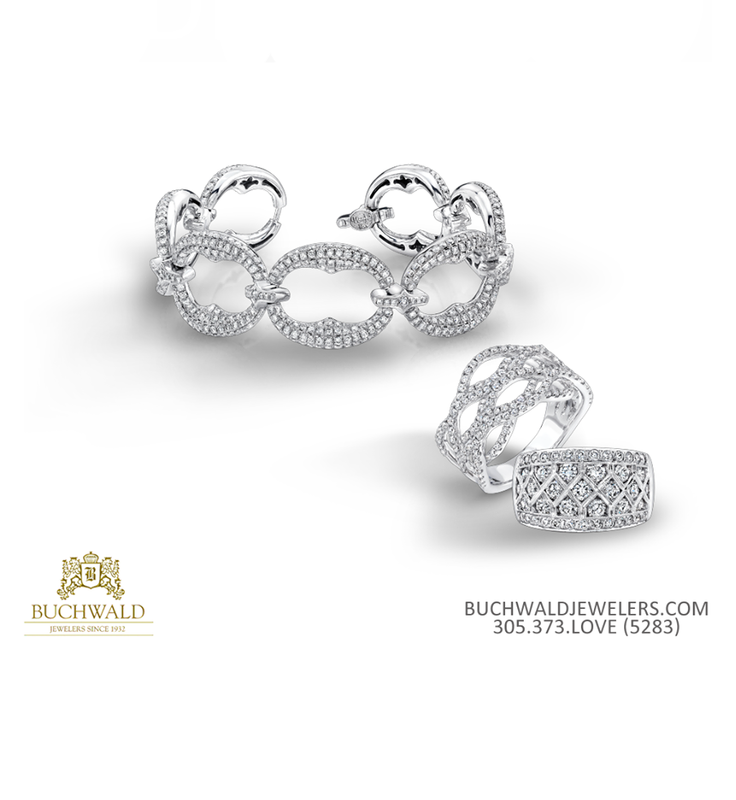 The Vizcaya Ball’s Presenting Sponsor is Chopard, with NAEEM KAHN as Fashion Sponsor. 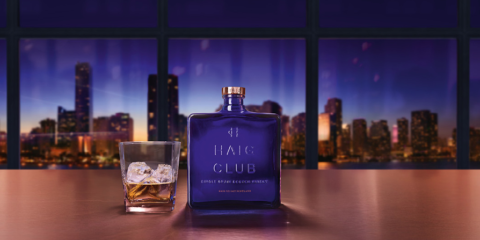 Additional sponsors include Republic National Distributing Company, Braman Miami, Neiman Marcus, NBC6, M.E.C.A. 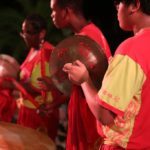 Dance Ensemble, Sun & Sons, Tara Ink, Swire Hotels, #FUNKSHION, South Florida Chinese Business Association and Chinese Culture Education Foundation, and the Confucius Institute of Miami Dade College. The Vizcaya Ball took its inspiration from design themes found at the historic estate, including the water channels in the Fountain Garden, reminiscent of Moghul garden design in Rajasthan; life-size sculpted peacocks in the Marine Garden symbolizing India; the O-bridge in the same garden inspired by similar bridges in China and Japan; and the Casba, the tiled, domed folly making playful reference to the Middle East. In the Breakfast Room, 18th century terracotta French sculptures of a man and a woman, and the mantle over the fireplace designed by Chalfin, clearly suggest China; the maritime landscape by French painter Adrien Manglard depicts a busy seaport, referencing trade between Europe and the Far East. The décor in the Cathay guest bedroom most effectively illustrate Chinoiserie, the style based on European interpretation of Chinese and Asian art and décor. Chalfin aptly named the room Cathay, the old name for China, popularized by Marco Polo. 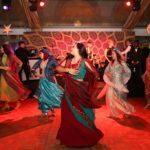 Save the date for the 63rd Annual Vizcaya Ball to be held on Saturday, November 23, 2019.